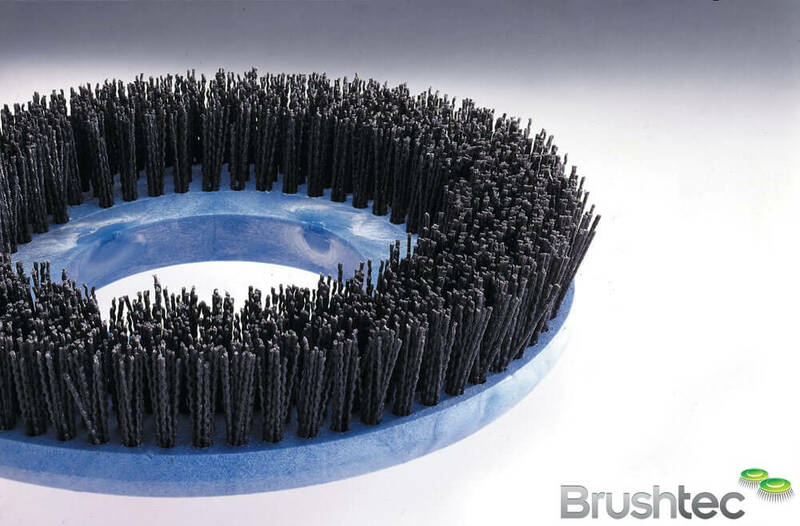 Abrasive monofilament Scrub-Grit is a black coloured, stiff, 1.4mm (0.055″) 6/12 nylon, extruded with a coarse 80-grit silicon carbide abrasive. 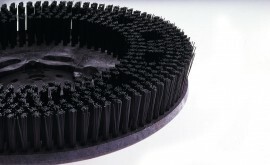 Abrasive monofilament is also known by the Dupont trade name ‘Tynex A’. 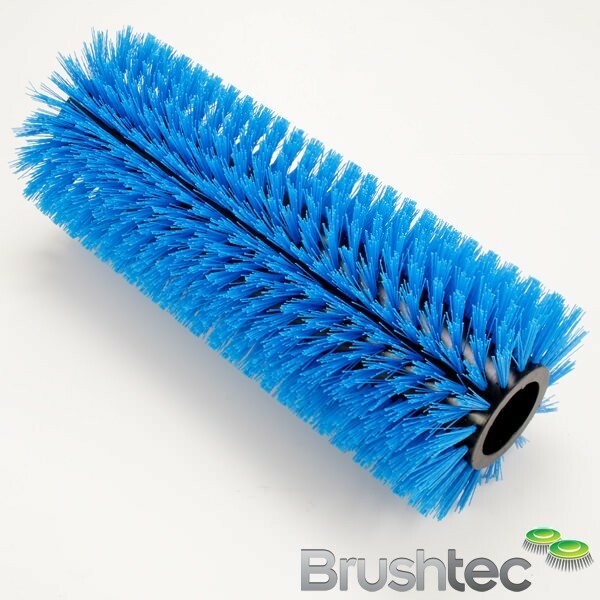 It is used wet on hard floors such as concrete, terrazzo and tiles, for aggressive industrial scrubbing. 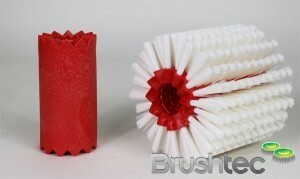 It can be used to replace black and brown pads. 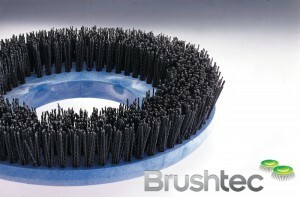 Abrasive monofilament brushes are designed to outlast over 100 pads without clogging up.